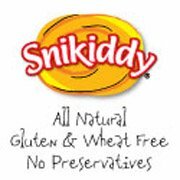 A Year of Jubilee Reviews is pleased to have Kerusso and Snikiddy Snacks as sponsors for the I Love Dad event! Follow the Rafflecopter for Entries. USA only. Disclaimer: Please note that A Year of Jubilee Reviews and “I Love Dad - Father's Day Giveaway Hop Event” bloggers are not responsible for sponsors that do not fulfill their prizes. We have represented each sponsor with the expectation they will fulfill their prize and in a timely manner. We will contact the sponsor regarding your prize(s). The sponsors, in most cases, are shipping their items to you directly. We will make every effort to assist you obtaining your prize. If there is an issue with a sponsor, please notify the blog you won a prize from within 4-6 weeks for assistance, after that we may be unable to assist you. I am most excited to try Eat Your Vegetables! The Italian Herb & Olive Oil Eat Your Vegetables. I'd choose the Rooted and Unshakeable - Christian T-Shirt. Their Mac N Cheese Puffs look so yum. Thanks. I want to try their cheese puffs. I want to try the cheese puffs. I'd like to try the cheese puffs! Eat Your Vegetables sound good! I want to try the Grilled Cheese Puffs! I'd choose the Armed & Dangerous shirt! I think the cheese puffs! I'm excited to try the Jalapeno Ranch Eat Your Vegetables snacks. Southwest Cheddar Baked Fries sound yummy. I want to try grilled cheese puffs. I am excited to try the Cheese Puffs. I would like to try the cheese puffs. I'd love to try the Italian Herb & Olive Oil Eat Your Vegetables, the Barbecue Baked Fries, and the Cheddar Cheese Baked Fries! I would love the Tired? 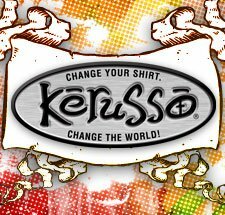 Christian T-Shirt - Custom from Kerusso. I want to try the Sea salt eat your vegetables chips! can't wait to try their cheese puffs! I want to try the baked fries. I am very excited to try the cheese puffs...looks like everyone is!! My savior is Tougher Than Nails, is the shirt I would choose. The cheese puffs sound awesome! The cheese puffs look so good! I would love to try the Eat Your Vegetables Jalapeno Wrench. For the shirt, it is a toss up between the Hunger Games and John 3:16--interesting choices, huh? I'm excited to try the cheese puffs!